It should come as no surprise that snow shoveling is a common way to hurt your back or neck. The pushing, lifting and twisting puts a huge strain on your spine. Even snow blowing uses a lot of core muscles and can cause aggravation to the joints and nerves. Typically a series of chiropractic adjustments will correct the pain and irritation to the nerve root. By a series of adjustments I mean somewhere from 4-6 adjustments to decrease the pain level. I call this chiropractic aspirin. Enough to make you feel better. We recommend corrective care at our office. Once you complete the pain treatment session of care we advice you follow up in a a few week to a month to work on correcting the underlying problem and help prevent it from coming back again. Much like going to they gym to lose and maintain weight is an ongoing program so is the maintenance of your spine. Think of it like brushing your teeth for you spine. 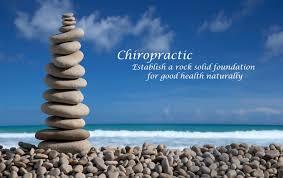 Stop in for a quick 10 minute appointment and leave with a shiny clean spine. We are accepting new and welcoming back previous patients. Give us a call to find out how chiropractic care can benefit you.